A CAM Field Trip and Meetup co-presented by the Institute for the Future and the California Association of Museums’ Foresight Committee. Registration required by Thursday, March 29th. 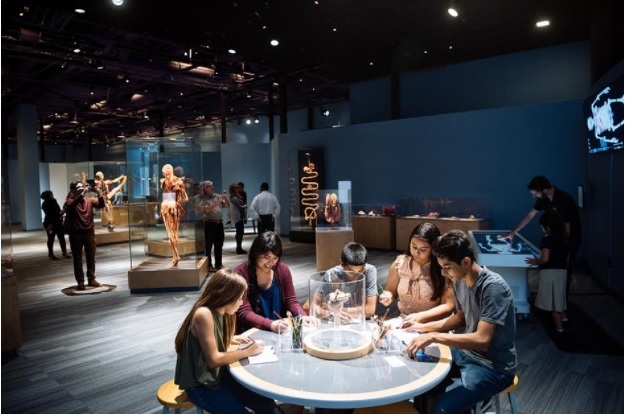 Join museum field colleagues for an interactive tour of the Tech Museum of Innovation’s Body World’s Decoded exhibition with Lisa Incatasciato, Exhibition Content Developer, and the Institute for the Future’s Julie Ericsson. Learn how the partnership between the Tech and the Institute partnership created a first-generation, interactive, custom augmented reality experience for visitors and try it yourself! Afterwards, meet us at nearby Uproar Brewing (439 South First Street, https://www.uproarbrewing.com/) for a lively discussion about the implications of this project, and AR in general, for California museums. No host.